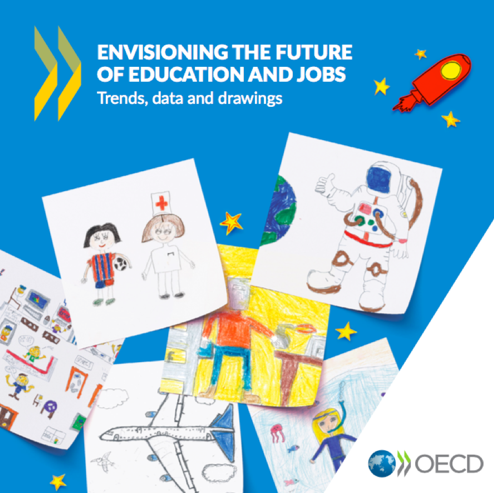 On Wednesday 23 January, the OECD and the UK-based charity Education and Employers launched a new report at Davos during the World Economic Forum: Envisioning the Future of Education and Jobs: Trends, Data and Drawings. The report looks at the future of education and jobs and the challenges and opportunities presented by the Fourth Industrial Revolution. 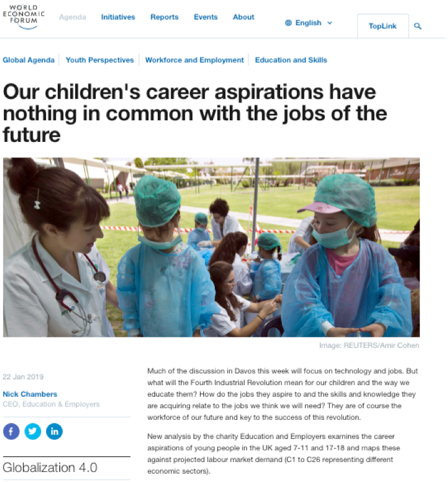 It concluded that the skills mismatch observed in the labour market has its roots in primary school, and that giving all children, regardless of gender and social background, the same chance to meet professionals in a variety of fields is the key to widening their view of the world of work. The OECD’s Director for Education and Skills Andreas Schleicher presented the report which was followed by a panel discussion with Deloitte’s Global Chairman David Cruickshank (and Chair of Education and Employers), the Rt Helen Clark former Prime Minister of New Zealand and the first head of the United Nations Development Programme, Andria Zafirako winner of the $1m Global Teacher Prize winner and Nick Chambers, CEO of Education and Employers. 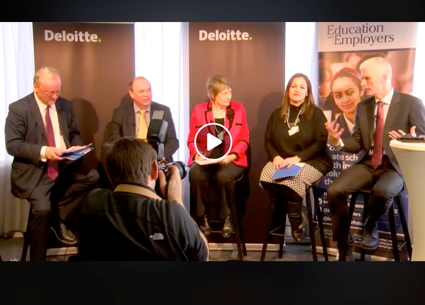 The event was live streamed by Deloitte and the whole presentation and panel discussion can be viewed here. In the ‘Drawing the Future’ global report that the charity launched at Davos last year, more than 20,000 primary school children were asked to draw the job they wanted to do when they grow up. Only 1% knew about a job from someone visiting school. 36% based their careers aspirations on someone they know with 45% being influenced by TV, film and radio. Findings also highlighted how gender stereotyping exists from the age of seven. Over four times the number of boys wanted to become engineers compared to girls with nearly double the number of boys aspiring to become scientists compared to girls. Conceptions of traditional femininity specifically ideas around ‘caring and nurturing’ may explain why two and half times the number of girls wanted to become doctors compared to boys. Measures of disadvantage also played a part. In less disadvantaged areas, boys are more likely to choose engineer over mechanic with girls, likely to choose architect rather than hairdresser. And on the day before for the first time World Economic Forum delegates visited the Davos primary school to emphasise the importance of engaging with young children to help ignite their ambitions. We are always looking for more volunteers to go into school to change this. Just one hour a year can make an enormous impact on children, especially those from more disadvantaged backgrounds. The Inspiring the Future and Primary Futures programmes which the charity runs are versatile, easy to use and free. Our Primary Futures and Inspiring the Future Campaigns are designed for primary and secondary schools. They are easy and free to use. The charity’s vital research, endorsed by government and business, underpins all the programmes that they run. It examines the impact of what happens to young people when they meet with employers for more information visit our research pages.